463: The answer to The House of Steam’s Tony Hawk Ride trivia contest is……… and the winner is………. 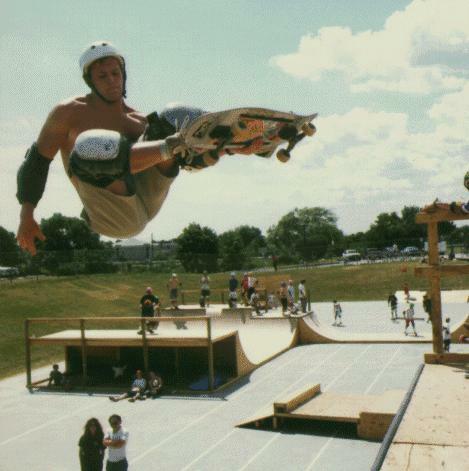 The answer to the question who bested Tony Hawk in a 1992 Florida contest is…..Tom “The Rock” Boyle!! 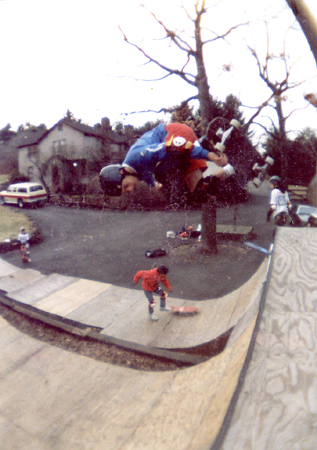 So who is Tom Boyle you say… he was the rider who was the first to pull frontside kickflips on a vert ramp and along with skaters like Danny Way and Colin Mckay helped usher in the final bit of modernisation that brought all the street skating tricks of the early 90’s onto the vert ramp. Things would never be the same. Let’s take a look at Tom and these guys skating back then…Shall we? So its now 1997 and vert riders can perform magic on the ramp, its no wonder the sport started coming back out of the darkness. Who would not be excited after watching this level of skating. 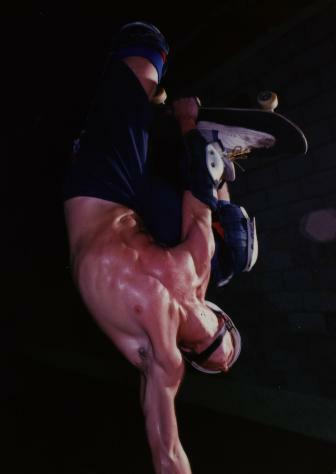 We all know a bit of what is to come in the new millennium skating audiences wanted skaters to go from being magicians to plain old death defying stuntmen….and the sport moved into 360 Loops, Mega Ramps, Helicopters and Great Walls in China. By making things bigger and more daring almost overnight there where 1,000 new first to be attained in the sport…first to do the loop, first to pull any trick across the mega ramp or on its wall….Has anyone done a 25 foot frontside ollie to grind yet? .Well I for one am pleased to report that with the influence of East Coast Legend Bucky Lasek and his new bowl ‘Heaven’ it seems vert skating is trending back to a healthy balance of everything. That bowl looks like skaters skating something that is humbling for all the right reasons. Yes, Yes I know that there were countless other skaters involved in these decades least of which Tony Hawk who’s contributions to the sport of skating need not even be taken into question but when you crack open the history books be sure to pencil in Tom “The Rock” Boyle if you find his name missing. Well, Thanks to everyone who entered and thanks to Tony Hawk and the good people over at THRIDE for sponsoring!! Look for more trivia contests soon in the new year. Dont forget to check out THRIDE and spread the word. PS…. for those of you who may not know about Tony Hawk’s contributions on and off the board to the sport of skating this video is a good place to start…Nice run Tony! This entry was posted in Bucky Lasek, Colin McKay, Danny Way, Heaven Bucky Lasek's Bowl, Tom “The Rock” Boyle, Tony Hawk and tagged ART, backyard ramps, boards, Bucky Lasek, Bucky Lasek Heaven, colin mckay, Danny Way, east coast, house of steam, jason, Jason oliva, jasonoliva, New Jersey, New York City, oliva, paintings, photography, pool Skating, ramp, ride, sk8, sk8t, skate, skate decks, skate history, skate photography, Skate ramps, skate trucks, skate wheels, skateboarding, skateboarding history, skateboarding photography, skateboards, skatepark, skater, SKATERS, steam, Street Skating, TEAM STEAM, The Barn, The House of Steam, thos, thride, tom boyle, Tony Hawk, vert, vert ramps, Vert Skating on December 17, 2009 by jasonoliva. Enter your email address to subscribe to The House of Steam and receive notifications of new posts by email.